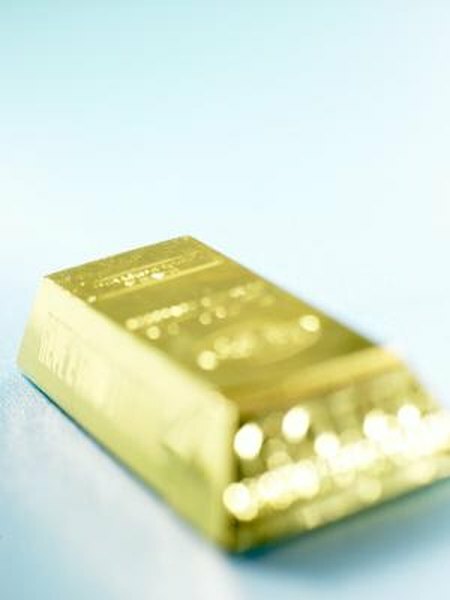 Many investors consider gold a hedge or protection against inflation. 1. What Causes the Price of Gold Stocks to Fluctuate? Gold has a history of being used as currency even since ancient times. And today, many investors think that gold will become a currency if world financial markets collapse. Whether or not that's a stretch, these investors, and others investors with different goals, find value in investing in gold in their portfolios.. Much of the value of a gold investment depends on factors affecting its buying power. The buying power of gold over time depends on the inflation rate and how the decrease in buying power of the dollar affects the price of gold. While the selling price of gold in recent history has increased rapidly, when adjusted for inflation, the purchasing power of an once of gold was actually higher in 1980. For an ounce of gold to have the same purchasing power today, it would need to be priced at nearly $2,000 per ounce. One of the biggest problems with gold is that it only yields capital gains. Gold does not yield income like many other investments do, such as stocks that pay dividends, or bank accounts that pay interest. Aside from the cost of gold itself, transactions in it may be costly, if you must store and insure the gold or pay fees on an exchange-traded fund that owns gold. These ongoing fees and expenses can erode the buying power of your gold over time. Gold's value, and hence its buying power, is closely tied to the value of the US dollar compared to other currencies. If the dollar is weak, the value of gold, and hence its buying power, increase substantially. Gold will also increase in value during times of political strain and uncertainty. For example, the value of gold soared after the 9-11 attacks and has also spiked alongside uncertainty in North Korea and Iran. While gold's value is driven in part by the supply of and demand for the US dollar and political uncertainty, other factors play a part as well. Industrial uses such as electronics, manufacturing and even dental work use about 400 tons of gold per year. Industrial uses drive up the demand for and affect the price of the metal. Market Watch: Gold -- Is the Bad News Over? What Are the Dangers of Silver Investment?